Last week in a LQS I noticed a little table holding fat quarters and charm packs that seemed familiar. 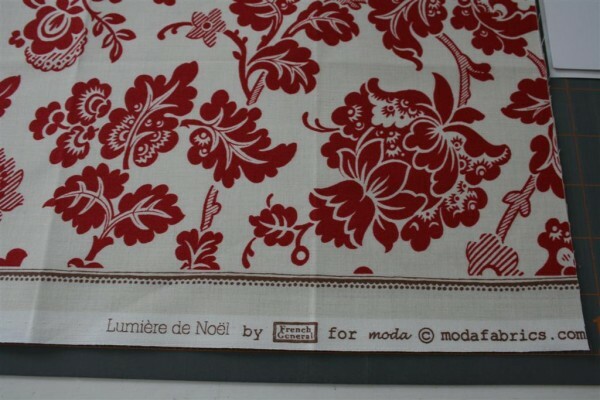 I looked closely and discovered that they’re from the Christmas collection of quilting fabric by French General for Moda, called Lumiere de Noel. Similar to their debut collection in color and style, this collection contains a reprint of the popular medallion prints from Rouenneries along with new prints that are really pretty. 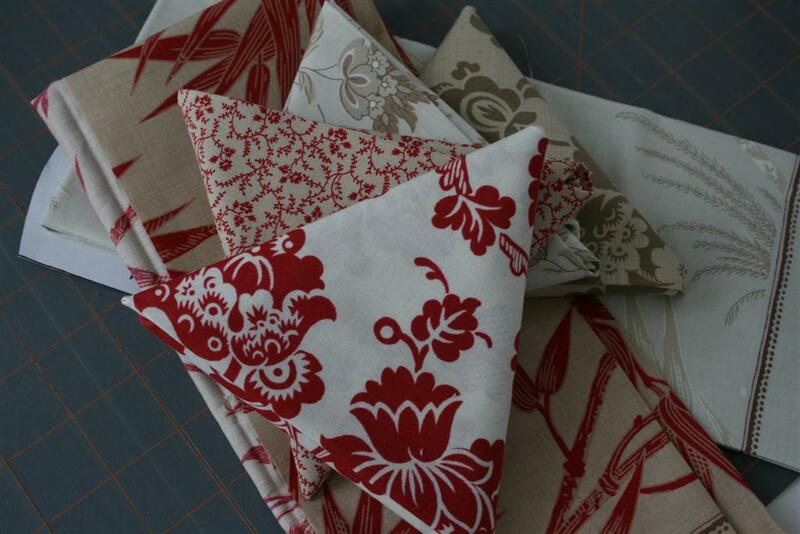 I’m thinking that it will be fun to combine a bit of this collection with my scraps from Rouenneries for a fun project. 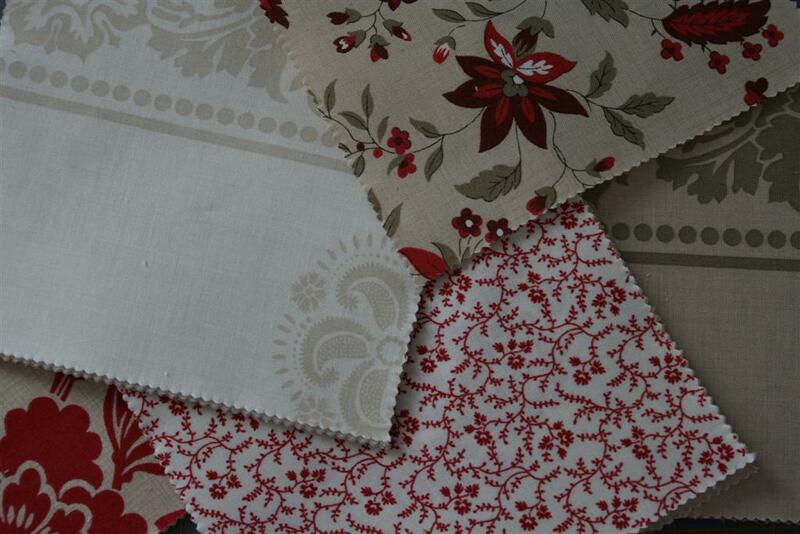 In fact, I added the fat quarters pictured above from Lumiere de Noel to the Rouenneries quilt I just cut pieces for. I’m excited to see them together. 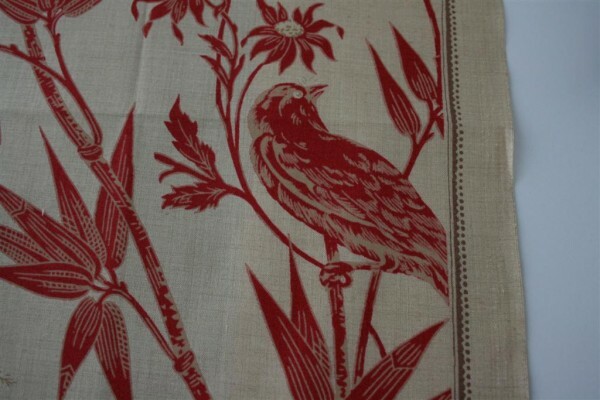 Once again, I love the pattern on the edges of the fabric. The bird print is really pretty. 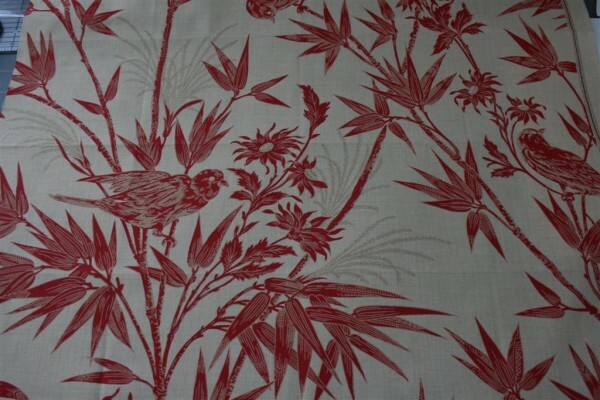 I also like this pattern quite a bit. Set to ship in June, this line has a few prints I’ll be on the lookout for!